Our memorial book program is a practical way to pay a lasting tribute in memory or honor of a person you designate. Beginning 2019, our memorials will be entered as News Items. They should be searchable by name of the honoree. If you have further questions, call the library at 409-962-6281 and ask for the Director. 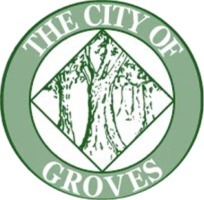 These memorial donations were made during the City of Groves FY 2015-2016. These Adopt-A-Book memorials are being made in 2014.Our adopt a new book program is a practical way to pay a lasting tribute in memory or honor of a person you designate.